Most little girls hope to get a new baby doll on Christmas morning. This fact alone was the reasoning behind Ally and I teaming up with Lalaloopsy to bring you to details on the new Lalaloopsy Babies Potty Surprise! There are many different dolls on the market that are becoming more and more real. You feed the doll and it relieves itself like your daughter does. Or kind of. 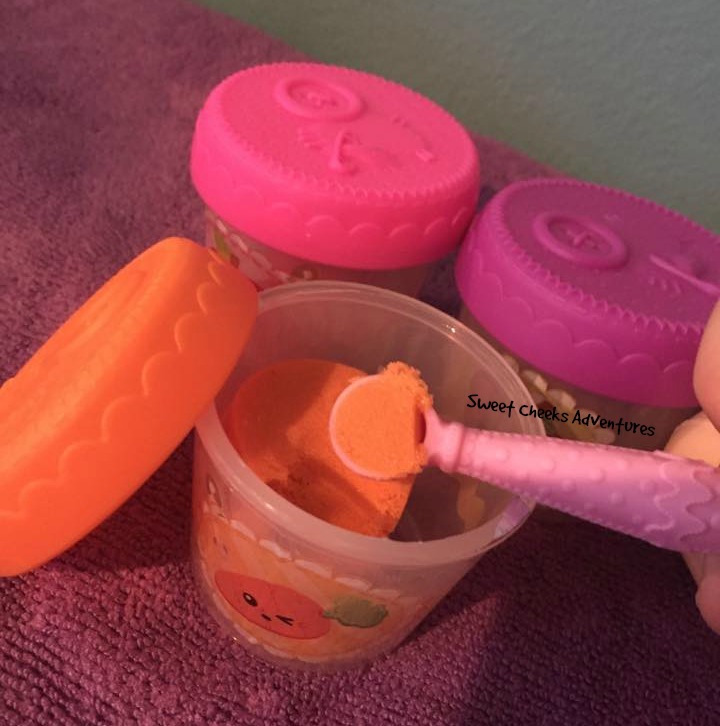 With the Lalaloopsy Potty Surprise, you feed the baby "food" that comes in the 3 different colors. The texture of the food is similar to a molding sand. Once it is in the mouth, you can help it down by pressing/turning the button while sitting her on her potty chair! Ally did have one small issue with the doll. She noticed the "food" gets stuck inside. She had to work a little hard to get it out, but once it was out, no issues with the doll at all! 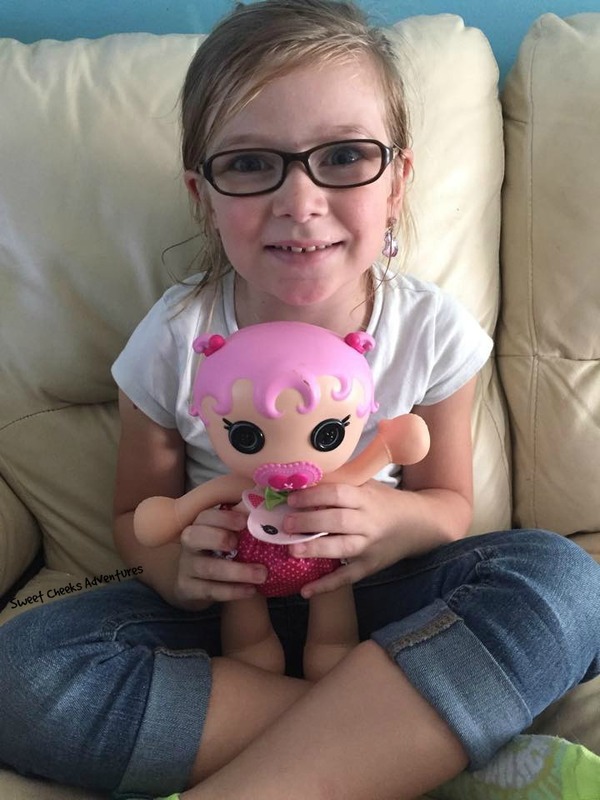 In fact, after she had a jam-packed filled day at school, all Allyson wanted to do was curl up on the couch with her Lalaloopsy and watch some TV! Jewel Sparkles is as cute as can be and made with great quality. 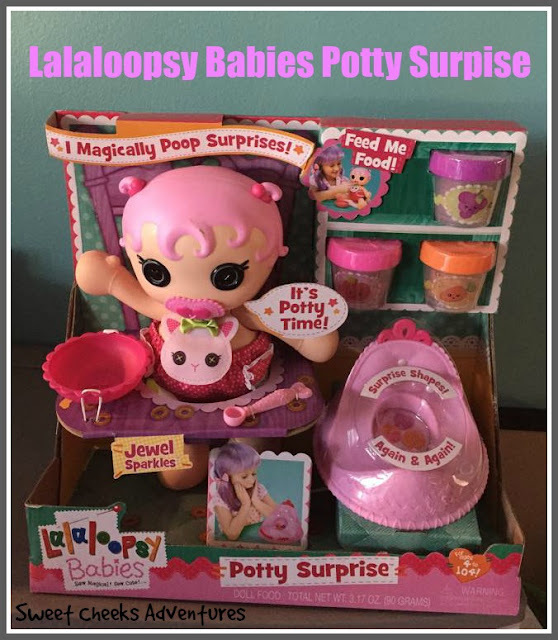 The Lalaloopsy Babies Potty Surprise is on point with other Lalaloopsy products! It would make any girl happy this Christmas, for sure! My niece loves Laloopsy dolls and she's potty training right now. This is PERFECT for her! How cute is that?! I bet it will be a popular holiday gift this year. This is such a cute toy. I love how it teaches potty training skills to little kids. The twins will flip out when they see this. You just gave me an idea on what to get them for Christmas. What a cute doll. Glad you were able to figure out the issues with the food so your little one can enjoy her baby more! Nice. This looks like such a creative doll. I love the intractive features. This is so cute! I'm glad she's having so much fun with it. This sounds like an awesome gift! My daughter loves Lalaloopsy, but I have to say that potty surprise is where I draw the line. It's a bit too much for me, but I appreciate the review. What a cute doll. My girls would flip over this, I so could see them playing with this for hours! This would be perfect for my friends littl one. She is learning to go on the potty. Now this is very unique compared to the dolls we had when I was young, lol. I can see where little girls would most likely really like this and have fun with it. Aw, this is an absolute adorable toy. I think my little niece would love it, just in time for Christmas shopping too! This is a super cute toy for girls. I would be fun for teaching about potty habits. Looks cute! My girls would have liked this when they were younger!